Anigraia Luxury Apartments is a complex of stone residences that we built with care, dreams and timeless building materials ... Stone and wood. 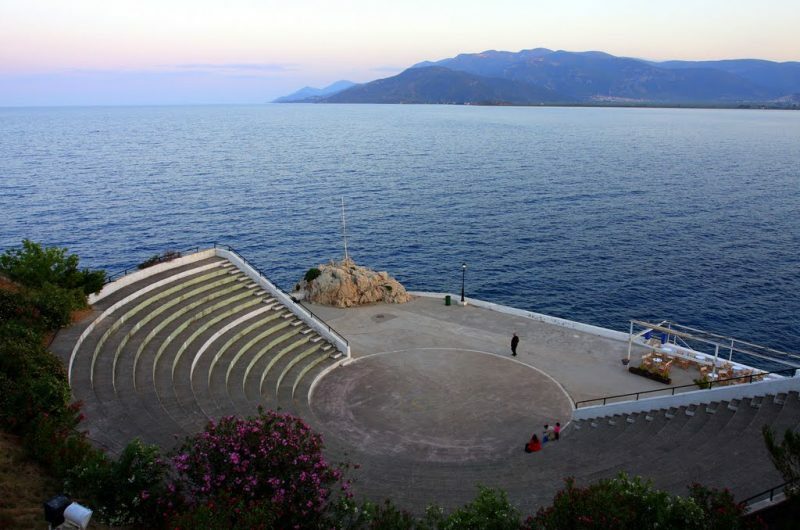 Paralio Astros, the amphitheatric coastal village of Arcadia with its picturesque alleys and traditional tile-roofed houses, intensively resembles a Greek Island. Paralio Astros is the port of the historic Astros of Kynouria, where the 2nd National Assembly was convened in April 1823. 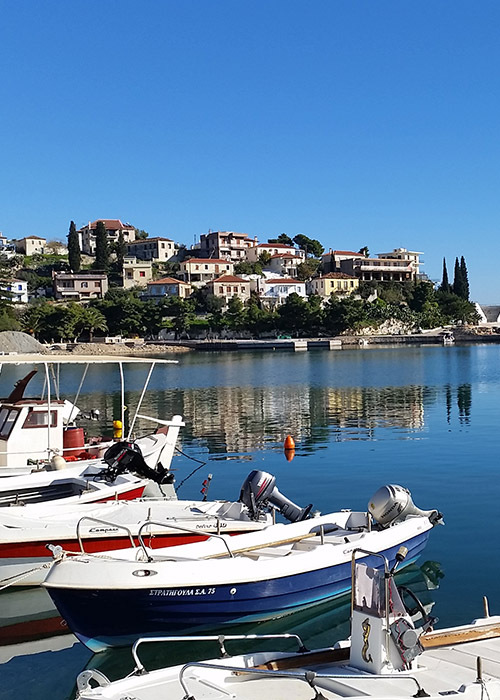 At the port of Paralio Astros, you can see tourist boats, fishing boats and high-speed boats, while tourist hotels, cottages, restaurants and cafés spread around them. The medieval fortress, which looms at the top of the hill of Paralio Astros, offers a wonderful view of the surrounding area and olive grove. The Church of the Annunciation, the picturesque lighthouse and the Chapel of Prophet Elias, as well as the statue of the mermaid near the outdoor theater, at the port, are the most important sights of Paralio Astros. The trip to the wider area of Paralio Astros is exciting: the sandy beach of Atsinganos, the beach of Vervena, the lagoon of Moustos and the beach of Saint Andreas make up a special corner in Arcadia, where sea and wind become one! For those who want to wander in a lush landscape with plenty of flora and fauna, among small lakes, old watermills, waterfalls, historical castles, monasteries and old paths, we can recommend a lot of hiking excursions that will fill you up with special emotions and experiences. The Loukou Monastery is approximately 4 km away from Astros, on the Tripoli-Astros road. It is dedicated to the Transfiguration of Jesus Christ and the building dates back to the 12th century (1117). 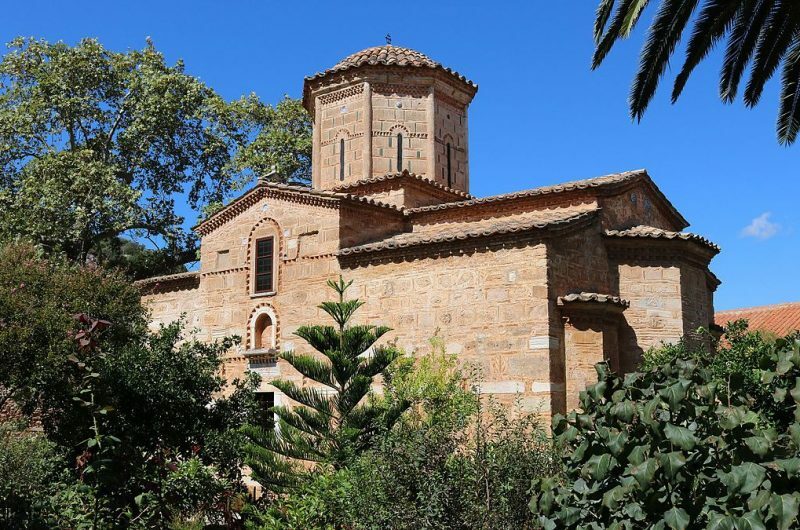 When travelling from Tyros to Saint Andreas, we meet the Holy Monastery of St. George of Endyssena. It is a residence of the Monastery Orthokosta. Its name derives from the ancient name of the nearby mountain, Orion. It is the oldest monastery of Tsakonia, in Parnonas, on a bypass road of the St. Andreas road. It is built on the road Astros – Agianni – St. Petros, about three kilometers before St. Petros and at an altitude of 950 meters. Kinouria took its name from Perseus the Kynouros, according to Plutarch the Danaos, before arriving in Argolida during the Early Helladic period. He settled in a coastal part of Thyra, the Pyramia, currently known as Paralio Astros (It is called “Pyrama” because of the pyramid shape of the Paralio Astros peninsula, wider at the base and narrower at the top). The Archaeological Site of Eva, where the villa of Herodes Atticus (2nd century AD) is located, is in a distance of 8 km west of Paralio Astros, next to the Loukou Monastery. At Mesogio Astros, there is an archaeological museum where the finds from the archaeological site of Eva are displayed. 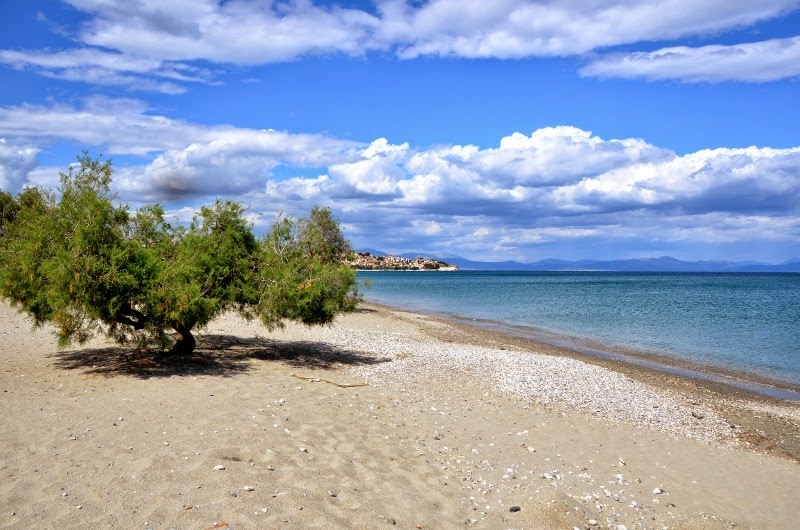 You can see the enchanting beaches of Cherenios, Glyfada (in front of Afrodite Hotel) and Atsinganos spreading out while entering Paralio Astros. Then, in a very short distance, after passing through Paralio Astros, there are the beaches Kallisto, Portes, Heronissi and St. Andreas – Pyrgos. Moreover, on the route of 45 km to Leonidio, you meet many amazing & exotic beaches like Kryoneri, Chefros, Lygerias, Tigani, Sabatiki, Kisakas, Zaritsi and many others that are waiting to be discovered. they offer a special experience to every walker. The Anigraia Street, the place where Pausanias passed many years ago and has once described the area. A walk that extends very close to our accommodation. An easy hike to the top of the mountain “Parnonas”, from where you can enjoy a beautiful view of the sea and the surrounding area. The lagoon of Moustos is very close to Astros. It is a beautiful lagoon that is supplied with a brackish water source and is located next to the road. It is a resting place for migratory birds and it hosts a wide variety of birds, fish, small mammals, reptiles and a small number of caretta-caretta turtles. At the lagoon of Moustas, you can meet mallards, swans and Eurasian Coots. The lake connects with the sea by two artificial canals. Moustos wetland is an environmentally protected area that is part of the Natura 2000 network and serves as an ideal place for a quiet walk.